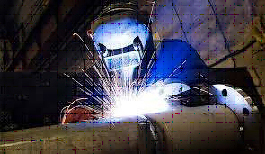 Engineering & Inspections Hawaii offers the guidance, oversight, inspection, and certifications for your procedure(s) for all your welding needs and to whichever certification (ASME, AWS, and/or API) you need for your welders. Once you have your procedure(s) in place and welders certified, we can provide shop and field fabrication inspections as a third party company to eliminate any “Conflicts of Interest”. We provide reports from these inspections showing that the welds meet the acceptance criteria of the code for which you welded to. If you are interested in Engineering & Inspections Hawaii creating a program to track your welding procedures and welders, we will be glad to meet with you and discuss the logistics and costs involved.